Have you run out of dry food or just got your pup and don’t know what to feed him/her or is your dog just bored of eating the same food over and over again, needing variety? If yes,then you are at the right place. 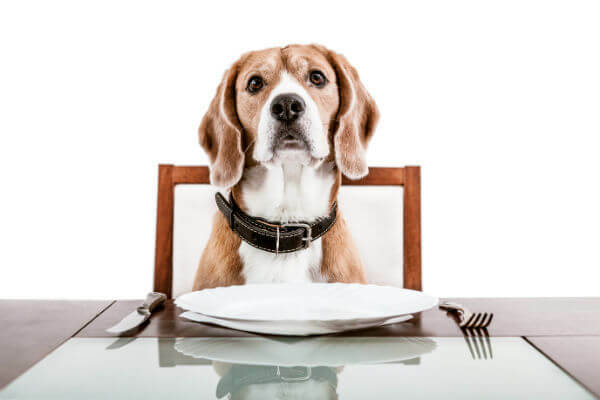 We are here to talk about a few home-cooked food options which are very much suitable for your pet and healthy as well.As a responsible dog owner, one should know that not all human food options are suitable for your dog, for example-Chocolate, lemon, grapes, raisins, onions, alcoholic beverages, tomato are poisonous to your dog even in small quantity. Many food items which the human digestive system can handle well may not be suitable for your dog like cow milk which causes frequent loose motion. However regardless of your dog age/breed, below listed dog food recipes work wonders for any dog and they like these very much. 1)Boiled chicken and rice– Dogs love this food. It isn’t even hard to cook. Buy chicken, clean well, no need to add spices/salt, add potato/carrot if available, boil in a pressure cooker, food is ready. You can even give this every day to your dog without any harm. There are some dogs who don’t like any dry food regardless of which brand you try. You can give them this food or mix dry food with plain boiled chicken. Your dog is likely to love it and if he doesn’t, chances are he has digestive problems resulting in loss of appetite. Although I have tried 4-5 brands of dry food, I give boiled food to each of my 4 dogs every day at noon and give dry food only at night. Ideally you should give full meals to your dog not more than twice a day. In case you are unable to buy dry food and want to give this as a regular diet, you can do so without any harm, just make sure to add a few supplements like beaphar salmon oil . This is because, while chicken has abundant amount of protein, it lacks omega fatty acids otherwise found in fish. For puppies without developed teeth, make sure to avoid hard bones. You can also add a variety of vegetables like broccoli, spinach, cabbage, carrots, beans, apple. Also the chicken broth you get while boiling chicken, be sure to include it in the meal. 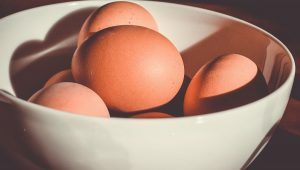 2)Boiled eggs- Although every breed of dog doesn’t like eggs, they are completely beneficial for your dog and you can give him/her boiled egg . Do not give chapatis/bread/human biscuits to your dog as they are rich in gluten. 3)Peanut butter/cheese– Dogs like peanut butter. It is rich in protein, you can give it to your dog although it’s not so much popular in India. Also, make sure the brand you are using is free from hydrogenated oils, excessive salt and harmful sweeteners like xylitol. Cheese too works well as treats in small quantity. Be sure to not feed too much cow milk cheese as it may cause loose motion. Also, cheese is rich in fat and some dogs may be lactose intolerant. Curd and yogurt in small quantities are acceptable. 4)Beef balls/beef stew– They are a good source of protein and vitamins. To spice things up, you may add vegetables, eggs or rice for a fuller meal. 5)Fish-Salmon, tuna, rohu or tilapia can also be given provided your dog likes them as some dogs hate the smell first time. Fish can be an excellent source of omega fatty acids but don’t make fish a daily meal. Turkey is also harmless for dogs. 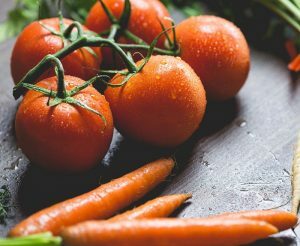 While I completely hate the idea that if you/your family is vegetarian, same should be done for your dog as dogs, in general, are carnivores, here are few veg food options which dogs are known to like.You can give boiled sweet potato, ghee(in limited quantity), potato, carrot, ginger. Although 90% dogs won’t like such horrendous meal with no meat at first go, you should consider yourself lucky if you dog properly eats or shows interest in a 100% veg home-coked food. If he/she doesn’t and you have no option of including non-veg food in your house, you can look for veg dry food like the one from drools. Fruits-Although fruits won’t be able to replace the daily meal, here are few fruits that are completely harmless even beneficial for your dog. You can give your dog sugarcane, watermelon, guava, cucumber, mango, pineapple or banana. Just avoid citrus fruits like lemon, orange, and fruits that are too salty or sour. You should be in the clear. Care should be taken that you don’t give seeds of big fruits like mango although mango pulp/skin is good. Apple can be given but seeds need to be taken out as they contain traces of cyanide which is poisonous for your dog even in small quantity. If you are aware of more food options known to be liked as well as beneficial for doggies, be sure to mention them in below comments. What to do if my dog love orange too much?? Few pieces are okay. Too much cause cause digestive upset. Hi I have lab puppy 1 month old pls tell me veg food for them??? Among veg food for canines, options are less. You can try curd rice or soya rice or veg dry food. Try mixing chicken with dry food. My dog is a Samoyed puppy of 40 days.What would be a best regular food for him? Is dry Roti good for dogs for dinner ? I give them daal chawal for lunch . Hi…. I have 3weeks old Indian dog which are best foods for him? Please suggest what to do what else I should get or cook for him that would be a great help from you!! Some dogs become bored of kibble. 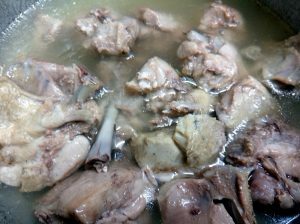 Many add boiled chicken pieces or curd or wet food like pedigree gravy to make it more appealing. Varies from dog to dog. You can go for 100% home-made food like chicken-rice, egg-rice etc. You can even feed only boiled chicken or mutton or beef day and night. Dogs hardly get bored of fresh meat.